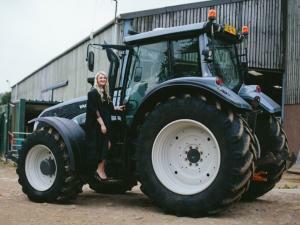 RGU alumna Dr Jenna Ross was shortlisted as one of the top MBA students in the world. Dr Ross has been nominated for the AMBA Student of the Year Award. RGU Graduate One Of The Top MBA Students In World! RGU graduate Dr Jenna Ross has been recognised as one of the top MBA students in the world. Dr Ross has been shortlisted in the AMBA (Association of MBAs) Student of the Year Award, which is a global award that recognises the talents and contributions made by students. 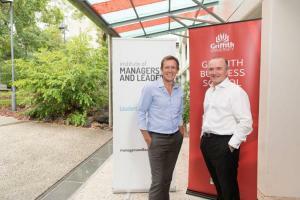 Griffith University has become the first university in Australia and New Zealand to accredit an undergraduate or postgraduate course with the Institute of Managers and Leaders. This accreditation gives Griffith Business School MBA students access to the internationally recognised Chartered Manager (CMgr) designation. Griffith University has become the first university in Australia and New Zealand to accredit an undergraduate or postgraduate course with the Institute of Managers and Leaders (IML). This innovative accreditation gives Griffith Business School MBA students fast-tracked access to the internationally recognised Chartered Manager (CMgr) designation. The University of Adelaide's highly regarded MBA program is now among the top 5 MBAs of all business schools in the nation. 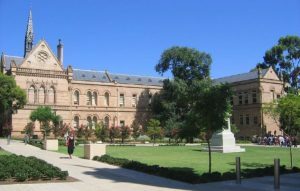 The University of Adelaide’s highly regarded MBA program is now among the top 5 MBAs of all business schools in the nation, according to the latest The Australian Financial Review BOSS magazine rankings. Interested in studying an MBA in Australia? Don’t have the work experience that most MBA’s require? Curtin University has just launched a new MBA( global). Course duration is 2 years and NO WORK EXPERIENCE is required. Curtin Business School’?s new Master of Business Administration (Global) is now open for enrolments for the 2014 first semester intake. Moving away from the mass lecture model, the course focuses strongly on work-integrated learning and global business and can be taken directly after completing a bachelor degree. From July 2013, the Deakin University’s Graduate School of Business is pleased to offer a 20 per cent tuition fee scholarship to international students starting in the Master of Business Administration (International) or the MBA (International) combined masters programs, who have a GMAT score of 550 and above, or the GRE with a Verbal Reasoning score of 160 and a Quantitative Reasoning score of 140, or greater.